God has put talent, gifting and passion in all people for His glory to be shown through us. We desire to produce high quality ministries that make a real difference in people's lives. Get involved in one or more of the following areas! Reach a whole new world with our online team. Our Sunday livestream reaches an exciting mixture of people who've never experienced church, are physically unable to reach our building or people overseas with no churches in their area. Church Online has exciting potential to change lives! ↓ Complete the form at the end of the page below to get involved. Every week, people are making decisions to follow Jesus during our services - be a part of what happens next! 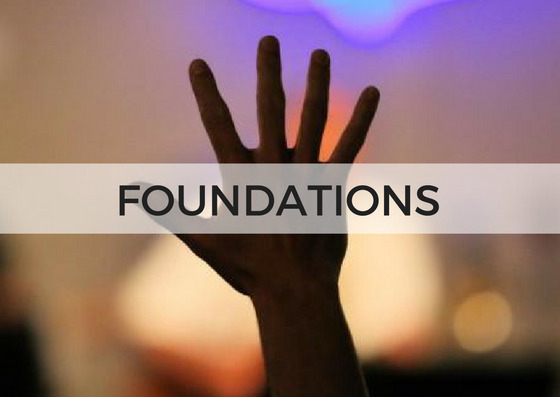 The Foundations Team make themselves available to talk with new Christians after the service and also run a Foundations Course for new Christians after each Alpha Course has finished. We love connecting with each other after the Sunday services! The Refreshments Team facilitate this by preparing and serving tea, great coffee, juice and snacks after the service. ↓ Complete the form below to get involved. Striking a connection with God while young can transform a child's life forever. Our kids team prepare fun and engaging experiences for kids during the Sunday services. The age groups are 3-6's and 7-11's. There are many exciting opportunities ahead for kids ministry. ↓ Complete the form below to register your interest. God longs to embrace each of us, and Welcome Team extends this love to everyone coming through the door on Sundays. The Welcome Team prepares the auditorium, initiates warm conversations with newcomers, guides people to available seats and facilitates the running of the service. We want to value people and their important decision to attend church on Sunday morning! Having lyrics and Bible scriptures available on our screens is an important help in our worship, and the graphics displayed throughout throughout the service contribute to a contemporary feel. No experience is needed, because training is provided. Our Lighting Team transition the colours and effects in the auditorium during the service, contributing to a contemporary feel. Help capture the experience. We record our 11.30am service and upload it to our mobile phone App and Youtube Channel, providing a constant flow of resource to our church and beyond. As well as preparing microphones, the Sound Team blends all the instruments being played to make a great sound. The Worship Team serves with the heart of pointing people towards Jesus. We want to place the Word of God in the mouths of mature, new, and soon-to-be Christians, so that each person’s response to life’s varied experiences can be faith-filled and God-focused. The Soup On A Run team serve hot food to the homeless community of Friday evenings. This kind act of love can have a radical impact on people's lives - click here to watch Cliff's story.